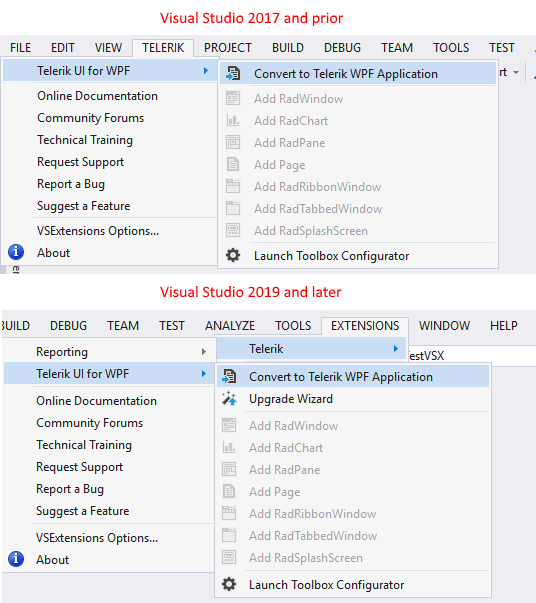 This article explains how to get the Telerik UI for WPF controls in your project and start using them quickly. 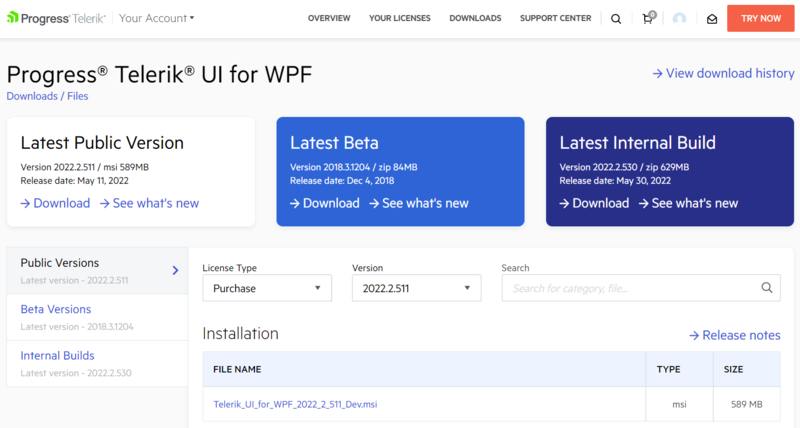 The easiest way to create a Telerik UI for WPF project is to use Visual Studio Extensions which are distributed with the Telerik UI for WPF installer. 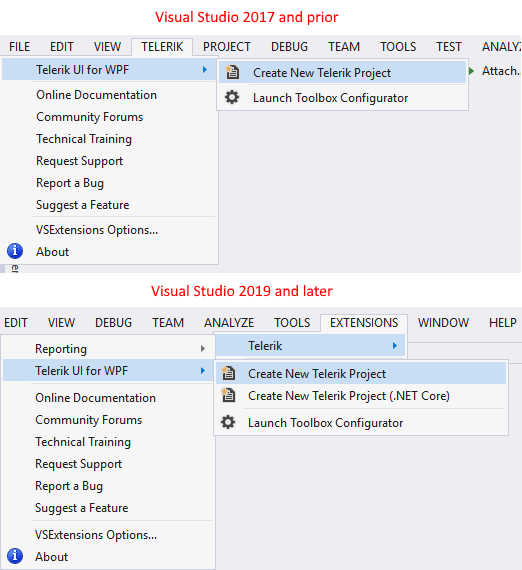 The Visual Studio Extensions can be accessed through the Telerik | Telerik UI for WPF menu which has different menu items depending on the selected project in Visual Studio. The extensions can be accessed through the context menu of a WPF Application as well. If you do not have a project, run the Create Project Wizard. You can either create a new blank project or pick one of the available predefined templates. If you already have a WPF project, run the Convert Project Wizard.